See more Roberto Collina Jumpers. We check over 450 stores daily and we last saw this product for $161 at YOOX. 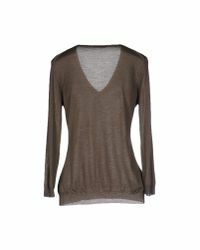 Knitted, lightweight jumper, basic solid colour, v-neckline, long sleeves, no pockets, no appliqués. 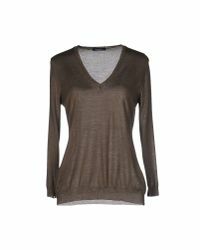 70% Cashmere, 30% Silk.